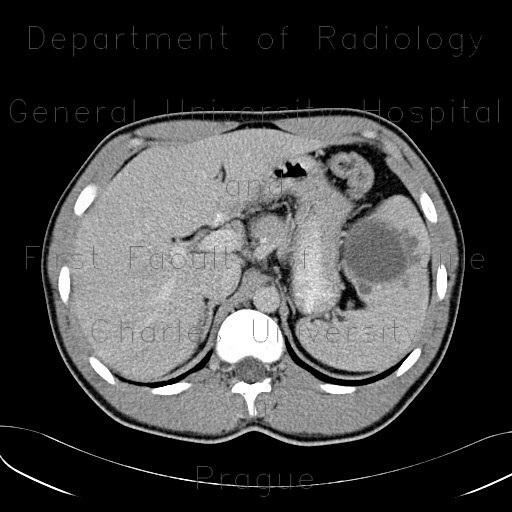 A cystic lesion, that creates a bulge in the splenic contour, contains a calcification in the wall. Smaller cystic lesions can be found abutting the large one. This appearance could be caused by a hydatid cyst, however, this was a posttraumatic pseudocyst.